"Your dreams are a window to your God-designed purpose." Pursue a Bold, Innovative, God-Inspired Career! ​Enrich Your Life & Work! Gain CLARITY about your God-given purpose and destiny. Get re-CONNECTED to your life dreams that may have been diminished, dismissed, or delayed. Grow COURAGE to boldly pursue the life and career that is your best fit. Since you're still alive there is purpose in you that is yet to be fulfilled. Dream B.I.G. 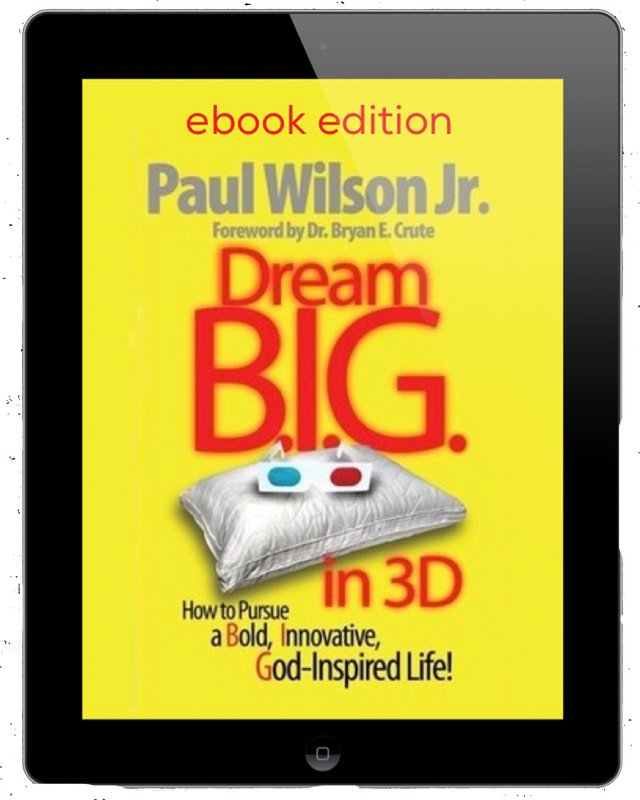 in 3D will lead you on an exploration to discover how to cause your purpose come alive in your life, especially in your career. Let's go! Dig deep in a personal study of self-discovery to find the path that God prepared for your life. A Step by Step Guide to Finding Purpose, Pleasure, and Prosperity in Your Work! Achieve Career Success and Significance! Fresh insights to connect the dots between your purpose, passions, & professional skills! Renewed determination toward your dreams, goals, & aspirations! Clarity, confidence, and courage to pursue your desired profession! Empowerment to live on purpose! Tools to build your legacy! We Teach Teens to Dream BIG & Do BIG Things! Your Purchases Support Training At-Risk Youth to Start Businesses! ﻿Kinsman Community, based in Atlanta, was birthed from our desire to see communities flourish as places of purpose, peace, and prosperity as God intended for them to be. We collaborate with other like-minded organizations to utilize a strategy called "Economic Evangelism" to engage in faith-based, holistic community transformation.